TitansClean gladly provides warehouse cleaning services in the Kuala Lumpur and Selangor region. TitansClean knows that the cleanliness of your facility speak highly about your professionalism and overall organization. After many years of warehouse cleaning, you will discover that our company aims in achieving a safe and spotless environment for our clients to reflect the quality and professionalism of your company. Always! TitansClean will gladly perform a on-site survey to better understand and discuss your Warehouse Cleaning needs if needed. Please contact us or submit an quotation request and we will contact you as soon as possible. At TitansClean service we strive to provide the best tailored service for our clients and ensuring client satisfaction. 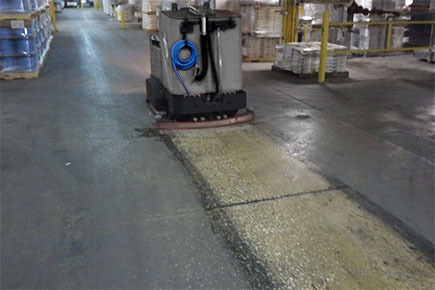 We analyze and check before and after service to ensure the floor surface really really clean. Our service for warehouse cleaning not just involves the floor but the entire warehouse can be cleaned by customised request by the client. Access equipment for height such as scissor lift, scaffoldings and skylifts were also supplied to some clients who prefer cleaning their walls,ceilings and roofings. 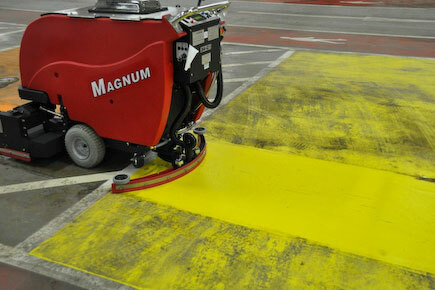 All required proper equipment supplied by our company to carry out the intended works at full efficiency.